The Intel NUC7i3BNH Mini PC NUC Kit sports a 7th-generation 2.7 GHz Intel Core i3-7100U dual-core processor as well as the ability of accommodating up to two storage drives and up to 32GB of memory modules, letting you build a compact system with the performance to handle entry-level applications. 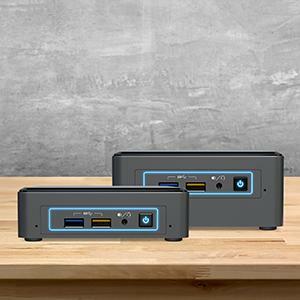 The NUC7i3BNH comes with two SODIMM slots that can hold up to 32GB of DDR4 2133 MHz memory chips. For internal storage, it is armed with two storage options, allowing you to install an ultra-fast M.2 SSD along with a high-capacity 2.5″ hard drive. It has a drive bay for holding 2.5″ SSDs and HDDs up to 9.5mm tall as well as an M.2 slot that can accept SATA- or PCIe-based SSDs with a length of up to 80mm. Once an optional storage drive is mounted, you will need to install an operating system such as Windows 10 or Linux. 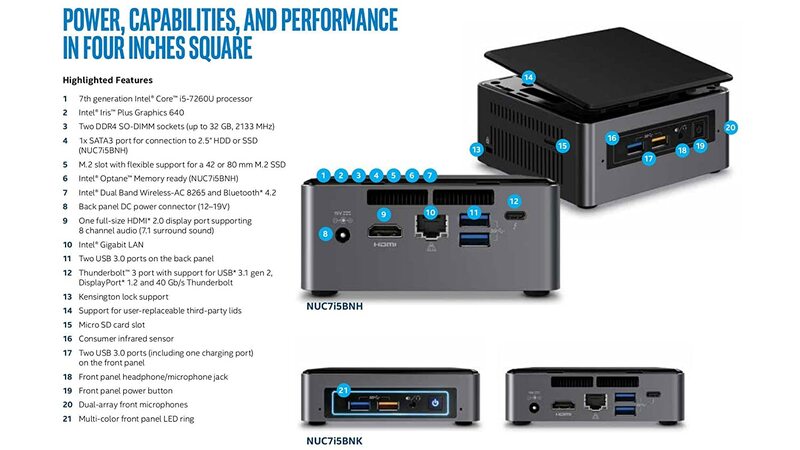 Furthermore, Intel has designed this NUC with a compact form factor so you can mount it behind a VESA-compatible monitor with an included mounting bracket, letting you maximize desktop space. 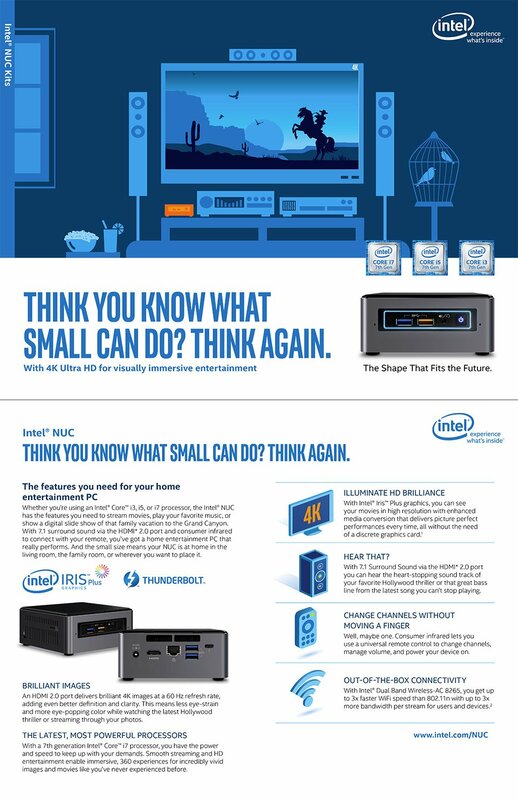 Intel’s NUC7i3BNH Mini PC NUC kit utilizes an onboard Intel HD Graphics 620 chipset that delivers up to 4K visuals to your monitors utilizing a built-in HDMI 2.0 port and a user-supplied miniDisplayPort to USB-C adapter connected to the NUC’s USB 3.1 Type-C port, which offers speeds of up to 10 Gb/s. To complete the multimedia experience, 7.1-channel surround sound is provided through the video connections and a combo headphone/microphone jack. Other notable connections include four USB 3.0 ports for a keyboard, mouse, printer, and external storage drive. If you need more USB ports, there’s a USB 2.0 header to support an optional adapter with two USB 2.0 ports. 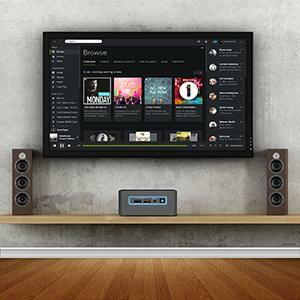 Aside from wired connections, Bluetooth 4.2 is on board so the system can wirelessly connect to speakers, mice, and other Bluetooth-enable devices. On the exterior, the NUC is outfitted a built-in microphone along with a multi-colored LED ring, so you can personalize it with a color you want. There’s also an integrated card slot for reading and writing to microSDXC memory cards. For accessing networks, the NUC7i3BNH is equipped with a Gigabit Ethernet port and 802.11ac Wi-Fi. 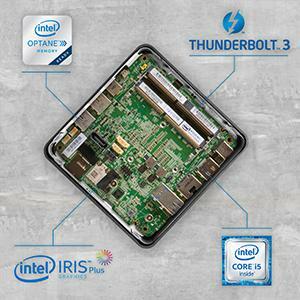 In addition, Intel includes an external 65W wall-mountable power adapter for powering the NUC.